Flip a coin. If heads, Snoopy dances and everyone catches on and are not able to stop. You destroy every card in their deck. Flip a coin. 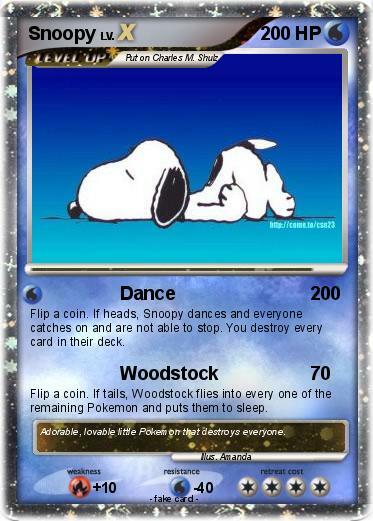 If tails, Woodstock flies into every one of the remaining Pokemon and puts them to sleep. Comments : Adorable, lovable little Pokemon that destroys everyone.